There was a mill and a small manufacturing complex at the hamlet of Fairfield, Missouri on the Pomme de Terre River built, it is said, by Judge George Alexander. He – or rather, his numerous slaves – built a long covered bridge at this spot. Before the Kaysinger Bluff Dam and Reservoir project got underway, the bridge had fallen in, but the stone piers remained. They’re now under the murky waters of Truman Reservoir. When crossing Truman Reservoir on the Highway 83 bridge, south of Warsaw, look northwest. The town of Fairfield was just up the river from today’s bridge. . The history of bridging the Osage River and its tributaries is covered in the new book, DAMMING THE OSAGE by Leland and Crystal Payton, available December 1. Marais des Cygnes, variously creatively spelled, is the principal extension of the Osage River. Through Kansas it’s a more bridge-able stream, and was crossed in many places by iron truss bridges beginning in the 1870s. In the background of the low Ott Dam, which once powered a grist mill, is another iron “wagon bridge” as they were called. These bridges were a huge improvement to rural life as the mud bottomed and banked Marais des Cygnes was difficult to ford even in dry weather. Pictures of the construction of these bridges are almost unknown. Once built, there were popular subjects for commercial photographers. As they disappear, replaced by sturdier but singularly unattractive beam bridges, there is usually a round of nostalgia-fueled protest in the local newspaper. Just north and west of Schell City, Missouri, down the old “River Road” are the ruins of an iron truss bridge that for a hundred years spanned the Osage River, connecting Schell City and Rockville. It’s not far from where the Bates County Ditch (which has its own interesting and little known history) enters the Osage. Closed traffic for many years, it fell into the river in February of this year. Sadly each year there are fewer and fewer of these wonderful iron truss bridges. The usual cause of their demise is obsolescence and lack of maintenance. They are replaced by architecturally uninteresting steel and concrete girder bridges. This 317 foot iron bridge became structurally deficient when maintenance stopped. We have posted here on our website and on YouTube a video tribute and mini history of this iron bridge. We think the Schell City bridge died a natural death, but there were local rumors that it was dynamited. The history of bridging the Osage River and its tributaries is covered in our new book, DAMMING THE OSAGE by Leland and Crystal Payton, which will be available by December 1. Rivers both provide and obstruct transportation routes. A book about a river requires attention to and consideration of the ways the river has been spanned. In Vernon County, northwest of Schell City, down a gravel, then a dirt road (aka Rockville Road/Old River Road) is the Schell City iron bridge over the Osage. This once well-traveled road is treacherous now, even when dry. Spring rains make deep mud of the river’s bottomlands; tractor ruts made in spring harden to ragged ridges that threaten to snag our rented KIA. We hike the last half-mile with cameras and tripod. Since our last trek, the approach from the south end has collapsed. Stone support pillars, the main span and the north approach are still straight and (apparently) sturdy. The stone pillar on the north side is almost completely swallowed up by sedimentation on that bank. Not far upstream the ill-conceived and appropriately name Bates County Ditch joins the Osage. Dug in the early 1900s, the Ditch probably destabilized the hydrology of the Osage, swinging the sediment load to the north bank, slowly building it up and burying the pillar. 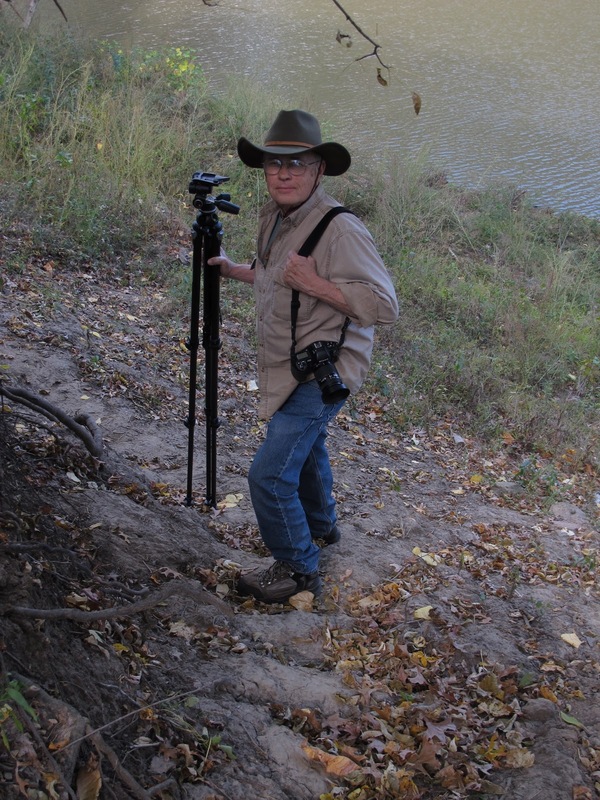 We’ve been roaming and photographing the upper Osage for more than 30 years. Old buildings and old bridges – if you want to see them, make haste.